An outdoor door alarm sensor is essentially a door contact that can be used in an outdoor environment. These sensors are regularly used for fences, sheds and patio screen doors that may be exposed to excessive moisture, dust and debris. 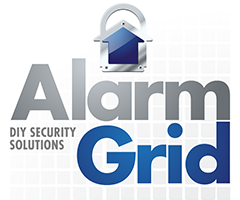 Purchase an outdoor door alarm sensor from the Alarm Grid site. Many people use outdoor door alarm sensors to monitor the exterior areas of their property. This can include any outdoor structure that features a door, such as fences, sheds and patios. By using an alarm sensor on any of these structures, the security system will alert the user whenever its door is opened. This can be great for users who will want to be notified if someone opens their fence, breaks into their shed or tries to enter their house through the back. These areas are often overlooked by homeowners, and using sensors in these locations can be highly effective in stopping intruders. Since outdoor door alarm sensors are generally used in an outdoor setting, they typically feature more rugged and durable designs than most other types of door sensors. This is done to protect outdoor door alarm sensors from weather-related factors, such as rain, high winds and dust. These sensors are also designed to withstand temperatures that would not normally be present inside a home. This means that with proper care, an outdoor door alarm sensor should be able to function in a harsh environment for many years. Additionally, most outdoor door alarm sensors boast particularly powerful RF communication signals, due to the fact that the sensor will most likely need to communicate with a security system that is located inside of the building. Nearly every outdoor door alarm sensor functions in the same manner. This type of device will typically include a sensor and a corresponding magnet. In most installations, the magnet will be attached to the moving part of the door or fence, while the sensor itself will be placed on the stationary portion of the structure. This will help prevent the sensor from being damaged whenever the door or fence is closed. In order for the device to work properly, the magnet will usually need to be within an inch of the sensor, if not closer. We recommend checking the instructions for the sensor that is being used to determine the exact operating distance. Whenever the magnet is separated from the sensor, the sensor’s internal reed switch will activate, and the zone associated with the sensor will become faulted. From there, the programmed response for the zone on the system will occur. This can include sounding a siren, requesting police dispatch or even activating a Z-Wave home automation scene. A user can change this programmed response by adjusting the Response Type for the corresponding zone on their security system. The user will need the installer code for their security system to do this. A great aspect of outdoor door alarm sensors is that they are typically very easy to install and program with the system. Since they are usually wireless, they can almost always be learned-in with the panel automatically. Additionally, most of these sensors can be mounted with just some minor drilling to fully ensure that they will remain steady and secure in all types of weather. This makes installing these sensors a great project for virtually any DIY user.